The Indian coastline is one of the longest in the world with incredibly scenic beaches. And lately the beaches in India, especially the ones in the west coast are trending in the travel scene. The beaches here offer pulsating adventure to serene solitude, and of course lively parties. In the year 2007, Time’s Magazine ranked Radhanagar Beach as Asia’s best and 7th in the world. So, it’s needless to say that it is the best beach in India. Many people across the world come over to marvel at this lovely beach. But if you want some time alone go for a stroll along the shores, you’ll find much-needed tranquility around. Similar to tropical equalizers, the twin islands of Ross and Smith are connected by a narrow sandbank of glittering white sand. 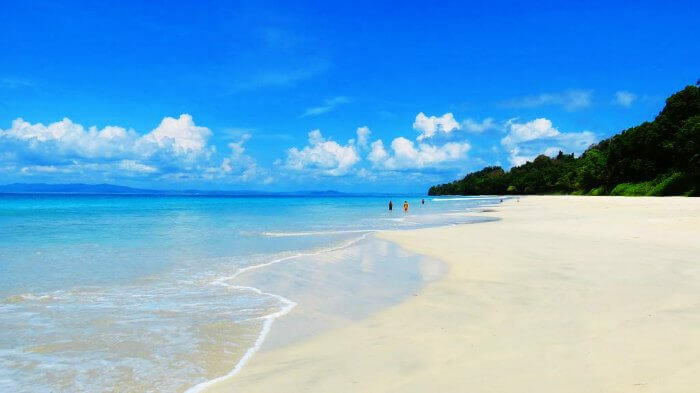 It is definitely one of the top beaches in India that offers incredible swimming and snorkeling experience in Andaman. 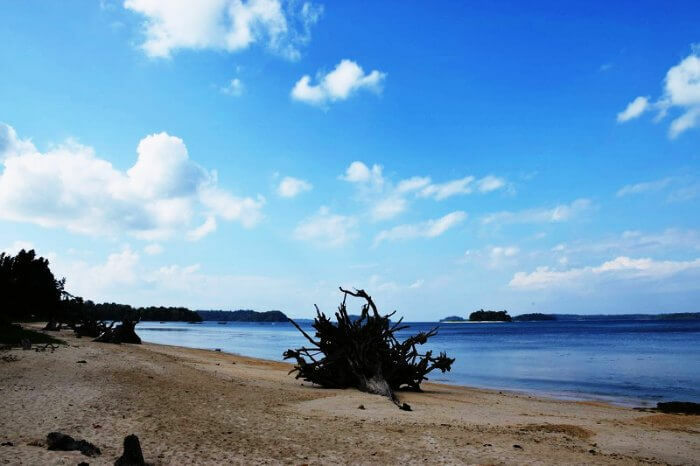 Also known as Twin Islands of the Andaman, these actually are different islands which are connected to each other by a natural sandbar in the middle of the sea. 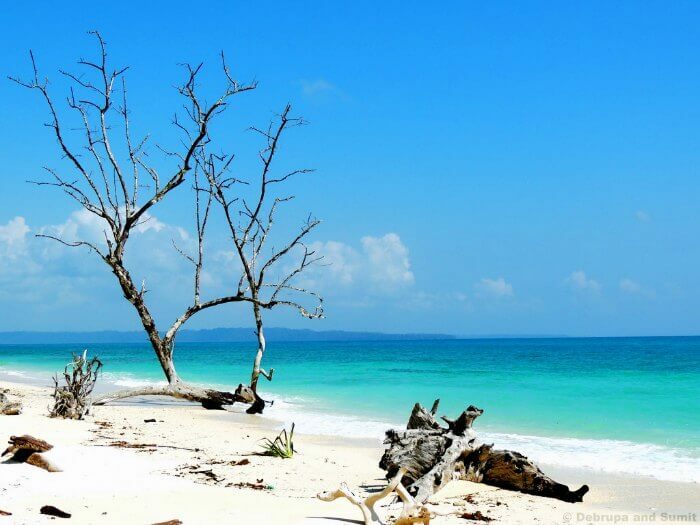 Wandoor Beach is a famous tourist spot in the Andaman Islands, situated in Port Blair. It spread over a vast area and is usually frequented by a lot of tourists. If long walks on the beach is what you’re looking for, this is just the place. Along with that don’t miss visiting a national park like none other, Mahatama Gandhi National Marine Park, which is located in close proximity with the beach. The Merk Bay Beach in North Passage Island has all the feature to be the best beach in India- dazzling white sand, turquoise blue waters, peaceful ambiance and breathtaking atmosphere. 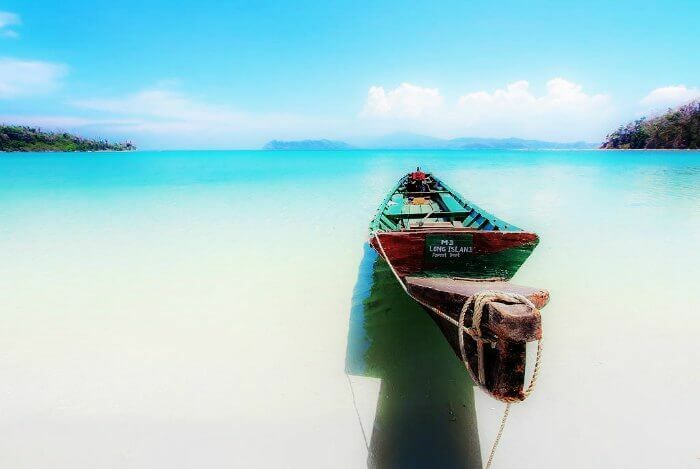 You have make a short journey of about an hour in one of the typical Andamani boats (dunghi) to reach the beach. The best thing about the beach and the island is that it is uninhibited, which makes it unperturbed and downright calming. 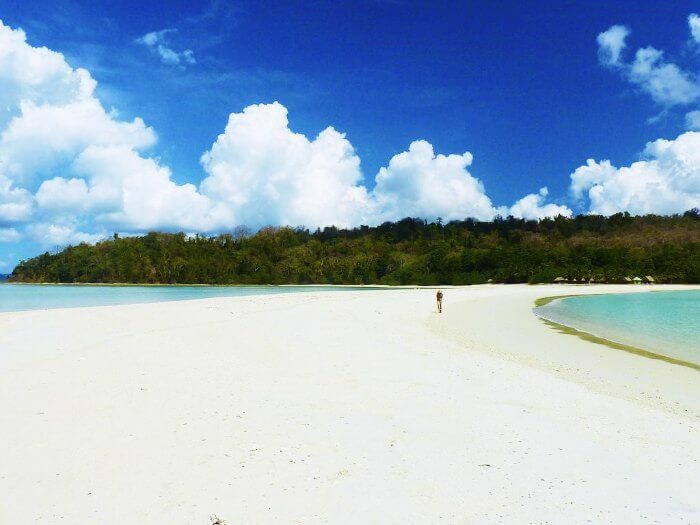 Kala Pathar beach is a small beach in Havelock Island of Andaman fame for it’s rugged charm. The quintessential sight of Kala Pathar beach is aqua green waters hitting the silvery shores bringing in dead corals with them. It is not an ideal beach to snorkel or swim but it is without a doubt one of the most beautiful beaches in India. 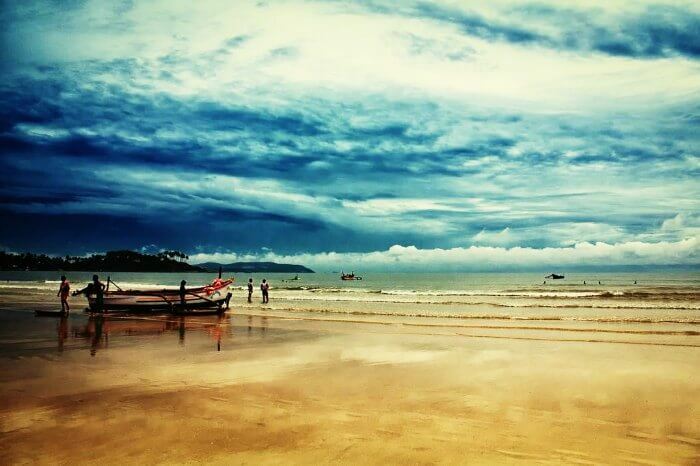 Palolem is charming, comparatively less crowded and a pristine beach in south Goa. It is one of the top beaches in India and is famous for the Silent Noise-Party for which a huge crowd gathers from all across the globe. This year, the beach has been regarded as second best beach in India and eighth best beach in Asia by TripAdvisor. Baga Beach, situated in North Goa, is a very busy tourist spot in Goa and is just 10 kilometres away from the capital of Goa, Panaji. Being one of the most happening beaches on the coast, you can find all sorts of entertainment here. This place is very famous for its night life. The beach also hosts varieties of water sports and many attractions like parasailing, windsurfing and kite surfing, to name a few. 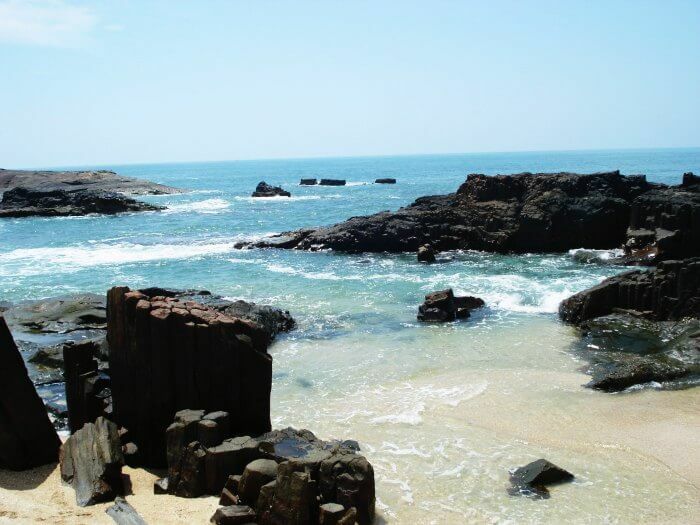 Considered among the most picturesque beaches in Asia, Agonda Beach is serene and quiet clean compared to the beaches in North Goa. It is also moderately less crowded, which means you can enjoy solitude and have a relaxing time. The beach is popular as a Ridley turtle nesting site, which are actually endangered. So make sure that you’re not running out of batteries when heading to this beautiful spot. 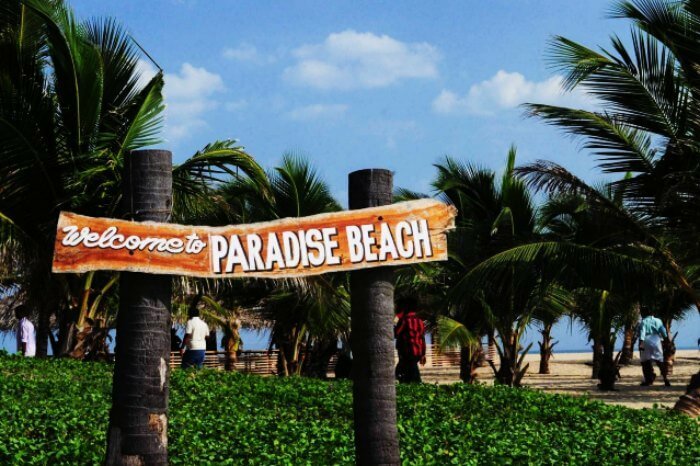 Vagator beach is the center of Goa’s trance party scene. 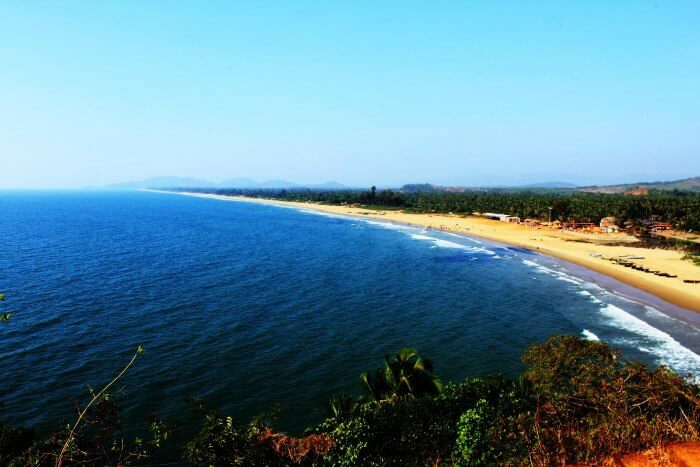 The beach is situated at the bottom of a steep cliff and the famous fort Chapora is also located on the beach. 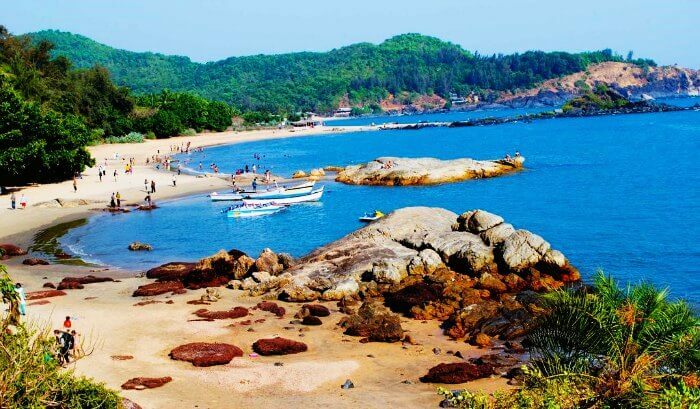 It is definitely one of the best beaches in India, specially due to the rugged rocks that make the shore stand apart from most of other beaches of Goa. Sit on any of the rocky formations and let the waves play with you. 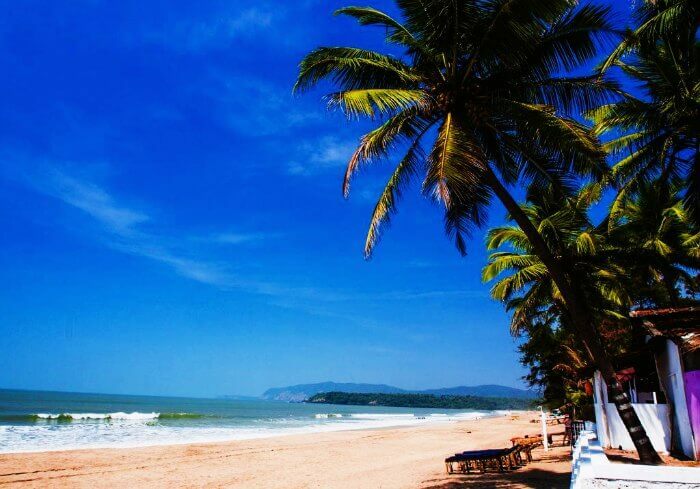 Hailed as the “Queen of the beaches”, Calangute beach is the largest one in the northern region of Goa. The night life at the beach presents a live wire experience with many foreign holiday makers and locals dancing into the night to great upbeat music. It happens to be a perfect place for partying. Water sports like skiing, surfing and parasailing are also prominently played here. 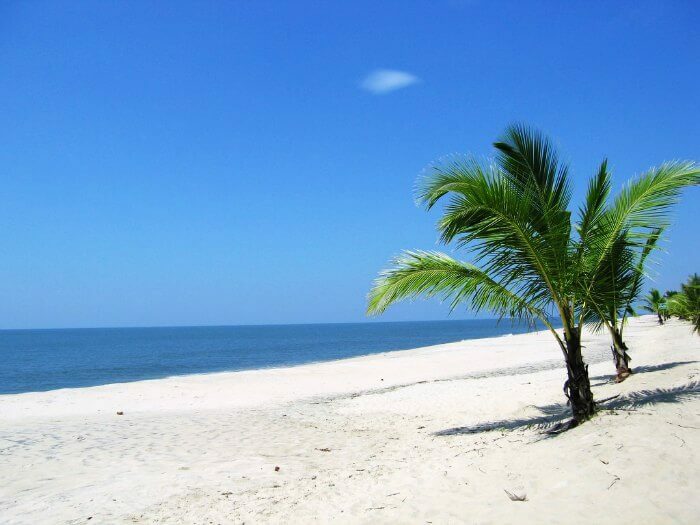 Marari Beach in Alleppey is well known for its unmatched cleanliness and stunning environs. The water here is ideal for swimming, snorkeling and at times even some surfing. At Marari beach, unlike other popular beaches in Kerala, you can catch a glimpse of the quintessential Kerala village life. There are many beach resorts around the beach where you can enjoy a pampering and unforgettable stay. 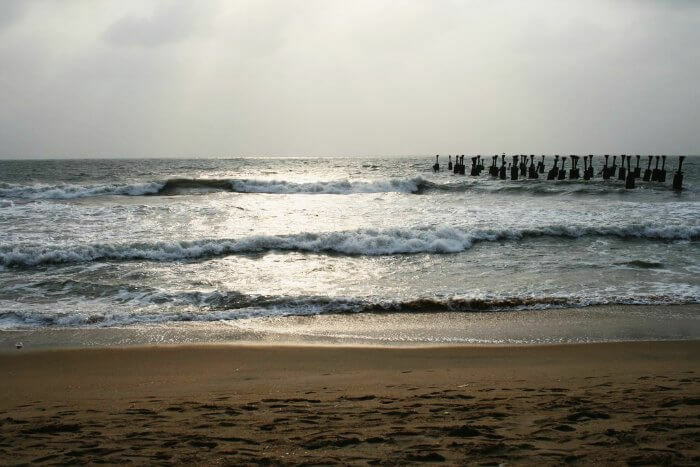 Cherai Beach is situated in the Ernakulam district and is generally reckoned as one of the must visit spots in southern parts of India. It is also known by the name of “Princess of Arabian Sea” due to its proximity to the city of Cochin, which in turn, is called as the “Queen of Arabian Sea.” It has all the components which would make a beach a world class beach. 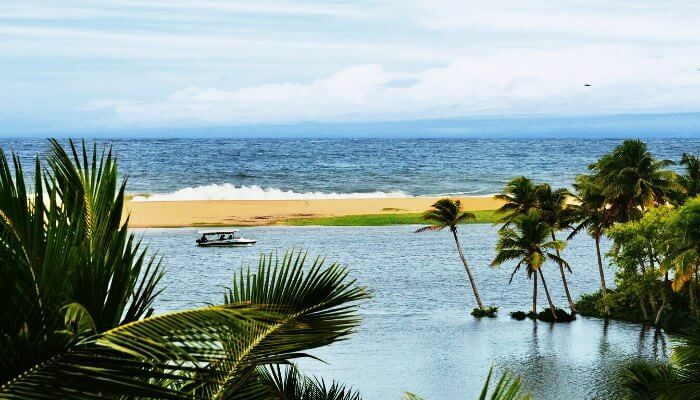 The coconut palms, the paddy fields, the backwaters – and everything else makes it one beach which you cannot afford to miss. Poovar beach is the most unusual, unspoilt and charming beaches in Kerala. Enveloped by serene backwaters, an estuary that leads out to the sea and a dreamy golden sand, this beach is definitely one of the best beaches in India. In the foregone era, this beach acted as a major trading point and today this is a traveler’s paradise. Kozhikode Beach is the best hunt for sunset views in Kerala. Adding to the beauty of the place are two crumbling piers more than a century old and a lighthouse retaining its old world charm. Visit this beach to titillate your taste buds with some of the most delicious seafood, specially kallumekaya (mussels). 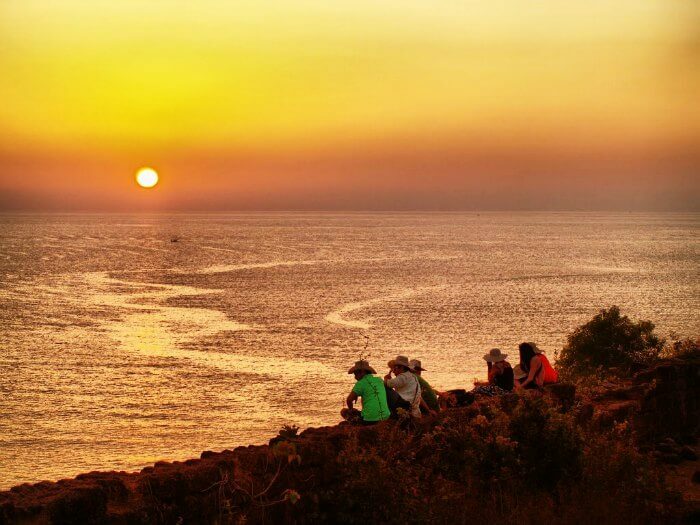 In the evening, head straight to the Dolphin’s Point to witness the sight of frolicking dolphins. Om beach is the most popular beach in Gokarna. The shape of the beach actually resembles the shape of an Om in Sanskrit which makes it quite interesting. The place, for obvious reasons have religious importance but has lately has turn into a hippie haven. Disjointed by a cliff from the Om Beach, the Half Moon Beach offers spectacular views of the sea. The entire beach is dotted with typical Indian style village huts or shacks. The umpteen hammocks set amidst trees offers great opportunities for relaxation. Kaup beach of Karnataka is one of the most popular beaches in Karnataka. The beach is famed for its serene environment and cool atmosphere. This is another beach in India where you can surf in the high tides. The black and white lighthouse in the beach totally steals the show. This lighthouse was built in 1901 and still serves the sailors. If you wish to enjoy bird-eye view of the locale then you should climb the lighthouse by giving a small fee. 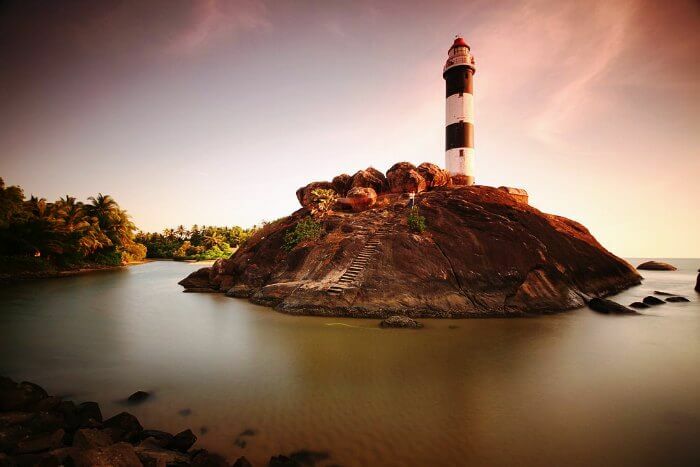 St. Mary’s Island is a group of small islands on the coast of Malpe of Arabian Sea in the Udupi district of Karnataka. It is famed as the place where Vasco Da Gama landed in 1498. Quite strangely these beaches are not available for swimming or strolling, however, you can watch the unique formation of volcanic rocks here. The picturesque casuarinas groves in Ullal Beach offer a spectacular view when the sun sets. The well furnished cottages with palm thatched roofs along the beach provides a perfect hideout. When taking a lazy stroll you’ll find many spectacular historical sights like Someshwara Temple, Queen Abbakka’s Fort and St. Sebastian Church, in close proximity with the beach. 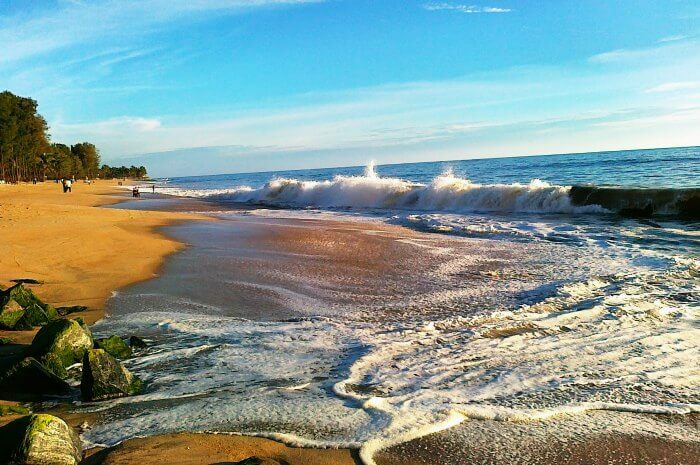 Aptly named Serenity Beach in Pondicherry is known to be a marvellously tranquil beach. 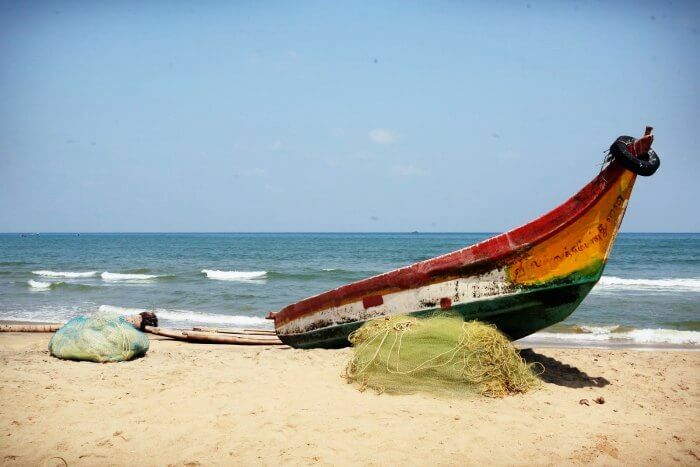 Attracting scores of tourists for its idyllic beauty of this virgin beach is becoming the premier attraction of Pondicherry. The waves, however, in this beach are bigger and ideal for surfing. So, don’t forget to try your hands on it, there are surfing schools too to teach you the skill. The weekend flea market will bring out the shopaholic in you, so go prepared. Another charming beach in Pondicherry, the Plage Paradiso Beach is a popular beach. The golden sun kissed beach is merging with the deep blue sea offers quite a sight for the visitors. Laying under the shade of the palm trees after a long sunbathe is a divine experience.